If you are looking forward to making some of the best jewelries with stones of different colors, textures and shapes, Agate Export is there for you. We will provide you some of the best quality hand-picked stones so that you can make use of them for your jewelry. If you have any specific designs, you can tell us, and we will make use of our special Gemstone Tumbled Stone to design an item for you. In fact, you will just fall in love with them, and you will not have any issue about the quality, as a whole. Apart from the tumbled stones, you will even find wonderful and unique Chakra Jewllery with us. These would not only make you look beautiful, but also enhance your appeal and charm. You will love flaunting your style statement in these items. Again, you can go for various jewelry collections from our store. The Chakra Silver Pendants are amazing and they come in different patterns and styles. These are light in weight due to which you can wear them in any occasion. 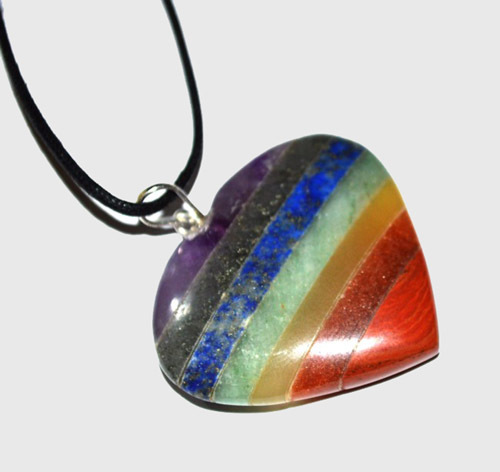 Moreover, our Chakra Metal Pendants are also very high in demand because they serve a great purpose. Therefore, it is high time that you check out our collection.